Education startup companies focused on interactive coding, overcoming youth trauma, and helping with dyslexia were among the winners of $140,000 in prize money to build their businesses at a Philadelphia entrepreneurship competition sponsored by the University of Pennsylvania’s Graduate School of Education. 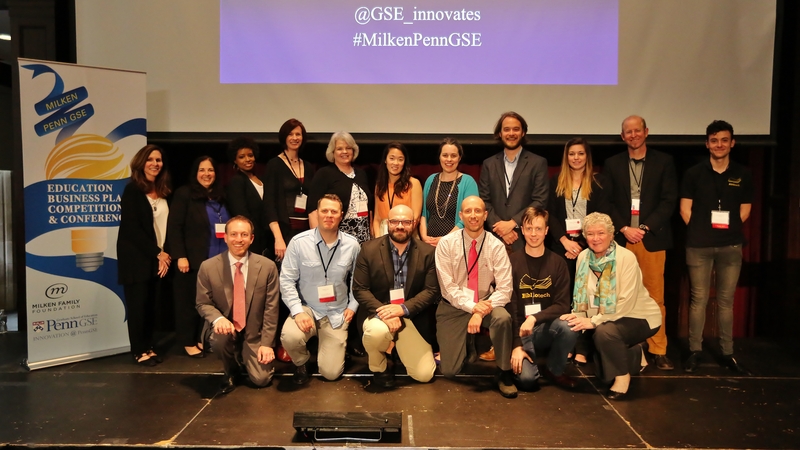 Winning companies for the sixth annual Milken-Penn GSE Education Business Plan Competition, announced this week, focused on products that also included a digital visual vocabulary provider and an online marketplace connecting teens with after school and academic programs. This year the competition saw a greater number of applicants, as well as a “higher quality of competition,” said Barbara “Bobbi” Kurshan, the executive director of academic innovation at the Penn Graduate School of Education. Winners received cash awards as well as a chance to join the university’s Education Design Studio, which helps mentor companies and acts both as a startup incubator and a seed fund. The big winner of the day was Tassl LLC, a Philadelphia-based company that created an alumni-engagement technology platform for institutions of higher education, which garnered $60,000 in the competition. Pivot Interactives, SBC, an Afton, Minn.-based company which creates interactive videos for science learning won $20,000. Peter Bohacek, the company co-founder and CEO who is also a 12th grade physics teacher, said Pivot videos have built-in measurement tools to allow students to analyze “events” like a paddleboarding excursion, an explosion, or a car skidding on ice. Bohacek said the money and support from the Milken-Penn competition helps to “validate” his company’s new venture. The money will go to develop new software and to expand videos into the areas of chemistry and biology, he said. The design studio support will also be significant, he said. Communication APPtitude, of Towson, Md., won $10,000 for its use of digital technology to teach literacy through visual strategies to students at all levels. Deena Seifert, company co-founder and a speech language pathologist, said the company recently received several awards including $100,000 from the Maryland Technology Development Corporation to build their pro web-based tool. The company will use the Milken-Penn money for marketing and to add content to the site, Seifert said. Kurshan said she’s seeing a higher level of quality among entrants in part because it’s getting more difficult for startups to raise money. For a full list of winners, check out the Milken-Penn press release here. For more ed-tech and startup news follow @EWmdavis on Twitter. 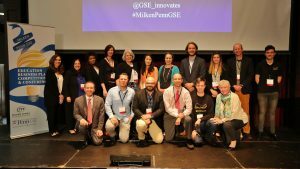 It’s good to have competition like “Milken-Penn GSE Education Business Plan Competition” for start-ups to participate and show their talent and business planning. With so many start-ups coming up these days funders have to be more critical and start-ups have to be more cleverer. Well said Pranjal, winner are those who takes risk. But we should talk Risk with proper planning and executions.